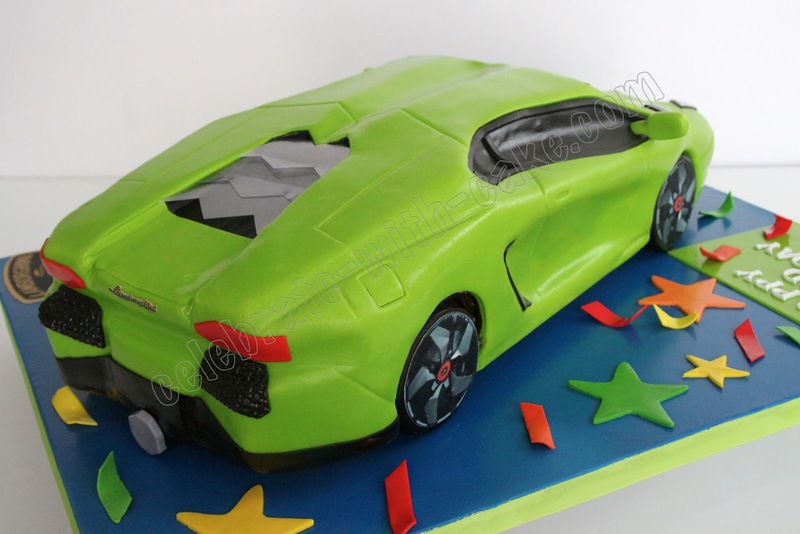 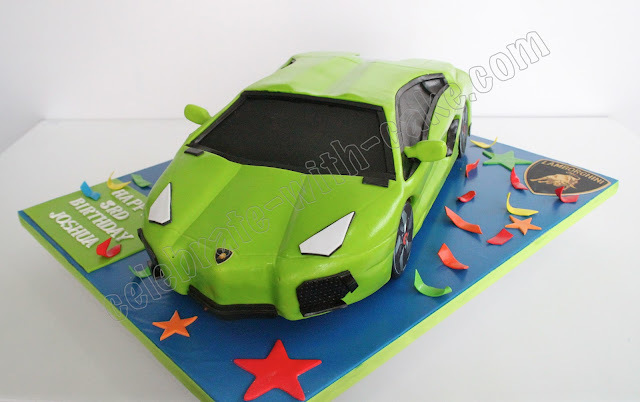 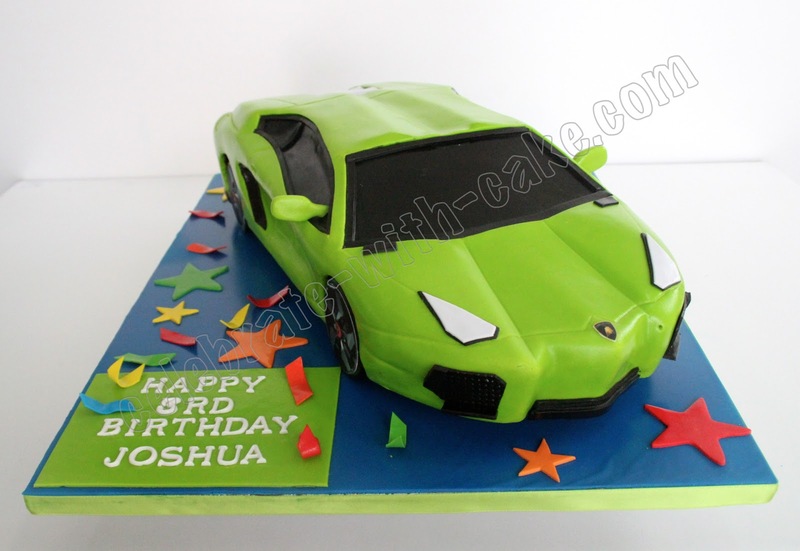 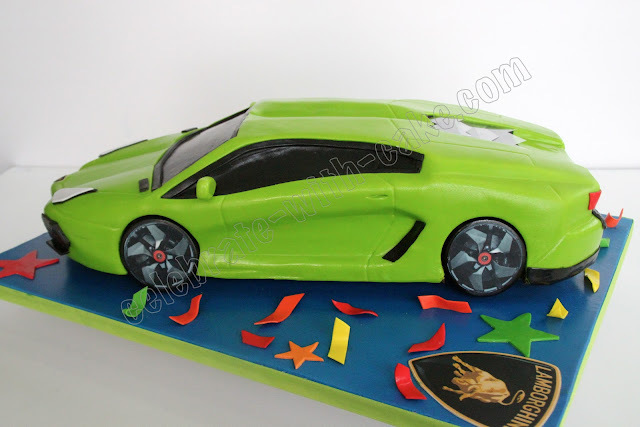 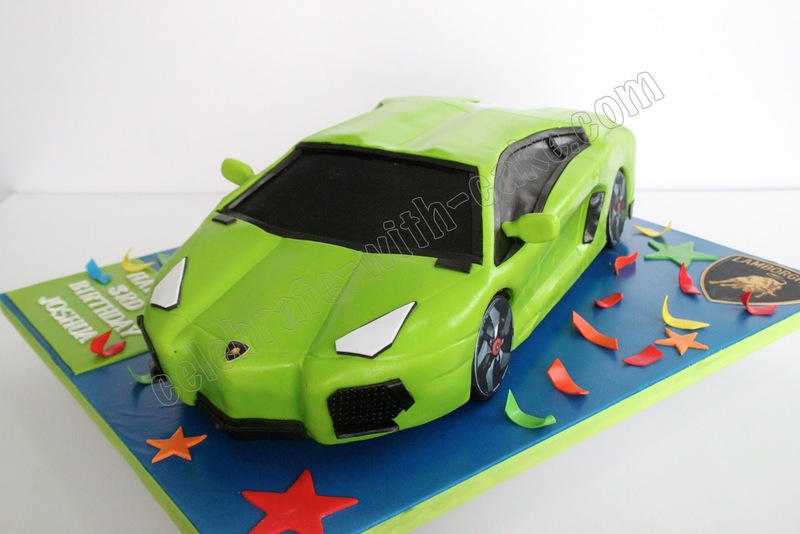 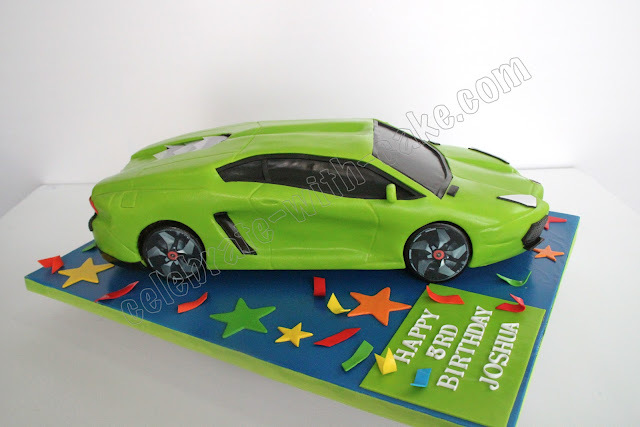 The second Lamborghini Aventador cake done for a little boy's birthday. 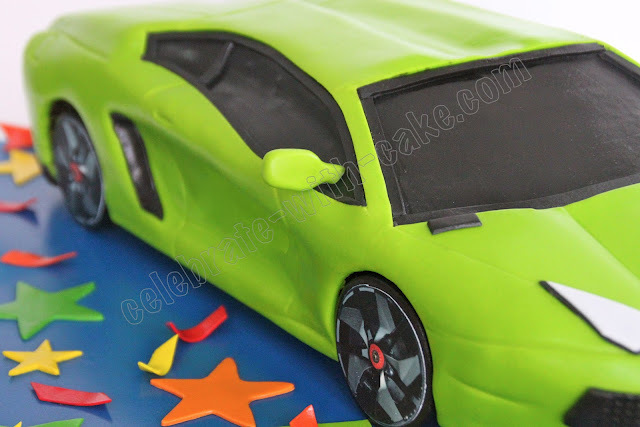 His mom got us to do the cake in a flamboyant lime green color and we absolutely love it! Hope the birthday boy liked his cake too!